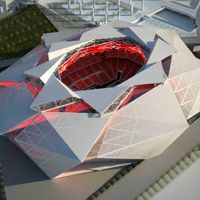 The detailed design is ready and has already been presented by Atlanta Falcons. The amazing ‘flower’ in central Atlanta will cost much more than expected, though. 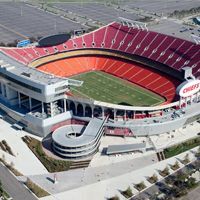 Falcons promised to cover the increase of $200 million and so the budget was unanimously accepted yesterday. 29.10.2013 Kuwait: Beautiful stadium, but will it ever be opened? 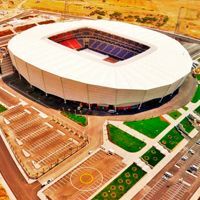 It’s been a sporting gem of southern Kuwait since 2007, but despite becoming a landmark the impressive Jaber Stadium is yet to be officially opened. Now that cracks were spotted in its columns the inauguration seems even more distant, despite 6 years of waiting. 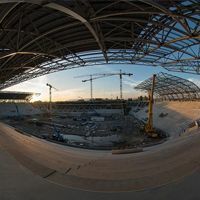 It’s almost half-way there, though ‘almost’ has an ironic sound to it when we speak of a stadium under construction since 2006. 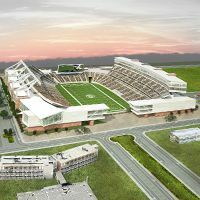 Still, the general contractor presented detailed plans for upcoming months, suggesting prompt progress. 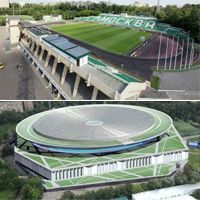 Rsport.ru report. 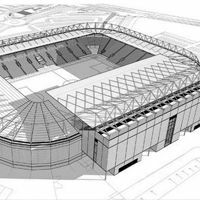 A few dozen houses need to be torn down in direct vicinity of Anfield to make way for 15,000 new seats. To make negotiations with obstructive homeowners easier the city council accepted compulsory purchase order as the final solution. 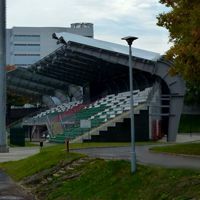 In spring 2013 the old stadium was still standing in Budapest. 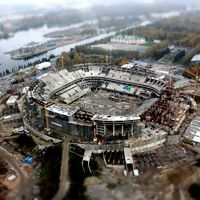 In spring 2014 the new one for 22,600 people will be nearing completion. 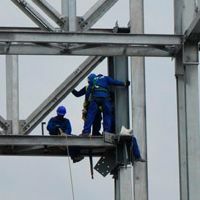 This year should see the entire concrete and steel structure standing. 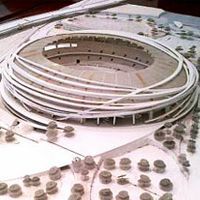 27.10.2013 London: Tottenham to build a stadium for NFL? 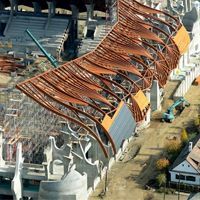 Contracting new designers despite having a project ready for construction now makes sense. 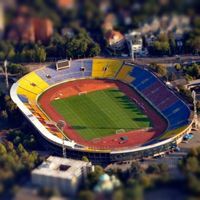 Tottenham Hotspur is reported to want a bigger stadium, possibly shared with the future NFL franchise. 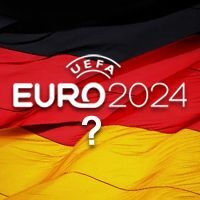 Euro 2020 bid procedures haven’t properly started yet and already now Germany is declaring the will to host the following edition, 11 years from now. 25.10.2013 Tokyo: Olympic Stadium too expensive, what elements need to go? 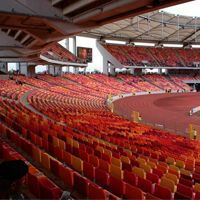 Sports Minister and head of 2020 Olympics Organizing Committee informed that the 80,000-capacity Olympic Stadium will have to be rethought to lower public expenses. However, its overall size might not fall too much. 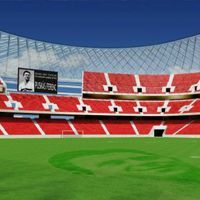 25.10.2013 Madrid: Microsoft to buy naming rights? 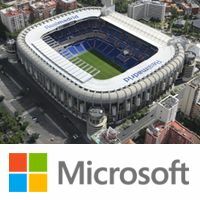 It’s barely been a few days since it was officially confirmed that Real will be looking for a partner and we already have Microsoft indicated as supposed sponsor. 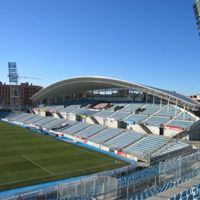 El Confidencial reports that talks are at an early stage, but partnership is likely. 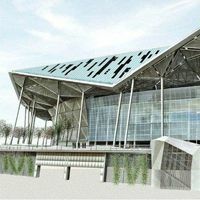 First new stadium after over 40 years to be built in Jakarta. 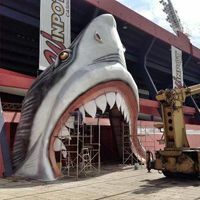 No wonder fans of Persija football club are very enthusiastic. November should see the mounting of cornerstone in the BMW park. 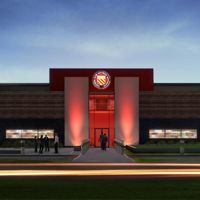 A few years back their plans made some people laugh, but FC United of Manchester are proving skeptics wrong once again. 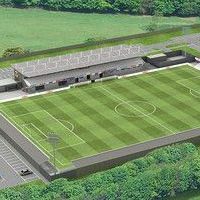 The 7th league club will have their own (though shared) ground in August 2014. Report by Supporters Direct. 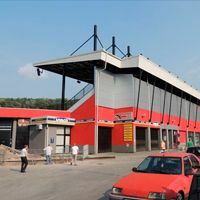 General contractor celebrated on site yesterday as the new stadium for Lublin sees all concrete works delivered on time. 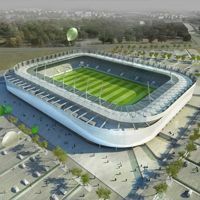 The very single project progressing so rapidly across Poland should be finished in less than a year, giving Lublin a representative football stadium. 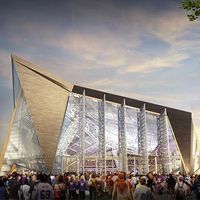 Worth almost $ 1 billion, the construction of Minneapolis Vikings new stadium is now set to begin in February 2014. 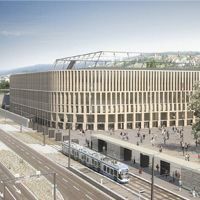 Despite 6-month long delay, the schedule still sees the superstructure operational in the summer of 2016. 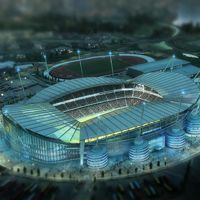 City, the homeless club from Cambridge, hope for a change of fate with plans to build a 3,000-capacity stadium. Small? 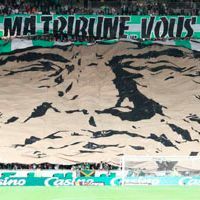 Not if we consider they play in semi-professional 7th league! And aim at having a small conference and banqueting centre to provide stable revenue. They were the last to begin works and had trouble acquiring funds. 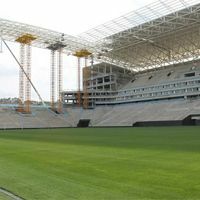 Yet Arena Corinthians is now 92% ready, showing impressive pace and seems safe to meet the December deadline. 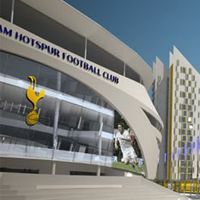 21.10.2013 London: Tottenham to move to new stadium for 2016/17 season? It’s been a long time since we’ve had anything solid about the groundbreaking of the new stadium adjacent White Hart Lane. 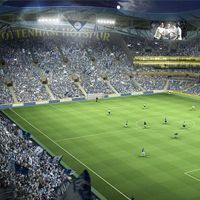 Now Goal.com informs that construction should start by June 2014, allowing Tottenham to use first stands in mid-2016. 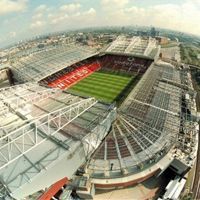 Current exits and stairways are probably too narrow, but if that can be changed, Manchester United are willing to give it a try. 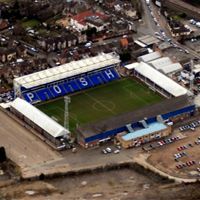 The club are to analyse the viability of such conversion and may support the reintroduction of standing sections in England. 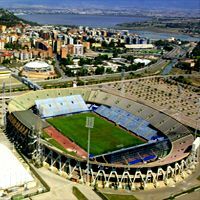 17.10.2013 Italy: Cagliari return to Cagliari, finally! 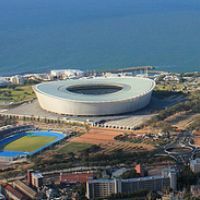 It is now official that Cagliari-Catania will be played at the Stadio Sant’Elia on Saturday afternoon. Safety certificate is in place and the club may return after over a year of exile and scandals. 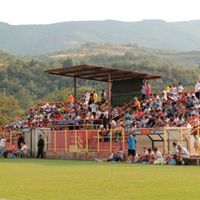 A Football-Italia.net report. 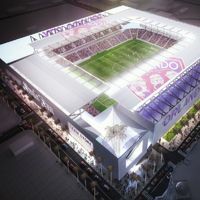 By the end of October it should be clear, which vision of the future stadium will win Real’s approval and “if they hurry up” works can begin in the summer of 2014. 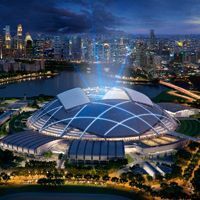 Naming rights deal is also envisaged soon. 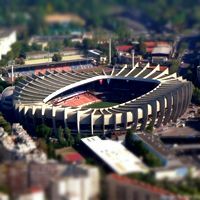 17.10.2013 Sofia: Germans tempting CSKA to move to Slavija? 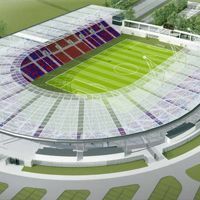 Despite CSKA’s previous rejection of the proposal, German company IFS is determined to have a new stadium in Sofia up and running by 2015. 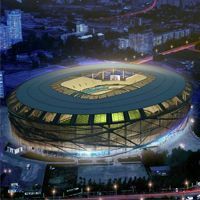 But even if they succeed in getting CSKA as one of key tenants, will this stadium be enough for Sofia’s aspirations? 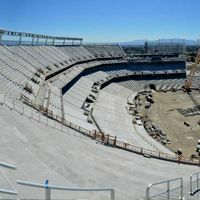 Second worker was killed yesterday at Levi’s Stadium construction site after an accident during truck unloading. Works were halted only for one day, but the tragedy certainly impacts morale among the crew. 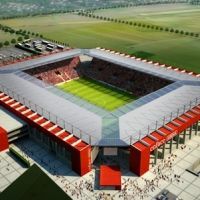 15.10.2013 Hungary: Unique stadium rising, but can it sell out? 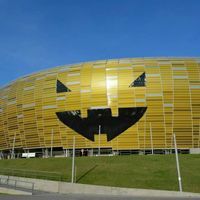 It won’t be among Hungary’s largest, but surely most impressive stadiums. The only problem is: who is it built for? 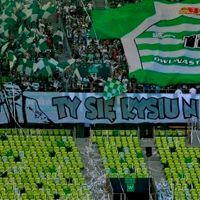 This question is being asked as ticket demand is doubtful to provide revenues just outside Budapest. 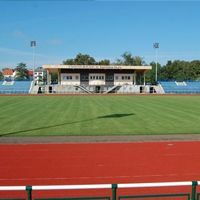 It’s been the showcase stadium for Finnish sports for 75 years and all indications say it will remain that way for years to come. Plans to redevelop it are very modest and respectful to the historical architecture created in 1938. 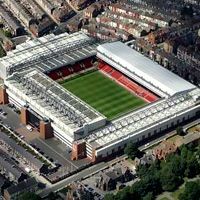 13.10.2013 Liverpool: Will bats impede Anfield expansion plans? 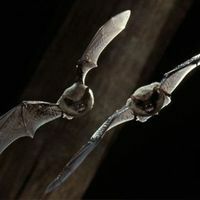 It seems highly improbable, but should a bet roost be found at the stadium, some effort will have to be made to securely transfer bats into a new location before going forward with the plans. 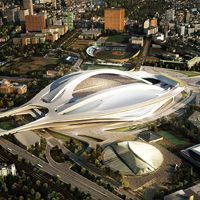 For some Zaha Hadid is an expert without question. 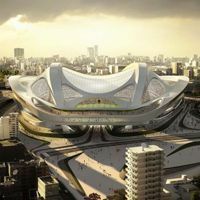 And leading Japanese architects argue they don’t want to challenge her status, but hope to help her change her mind on some aspects of the new 2020 Olympic Stadium. 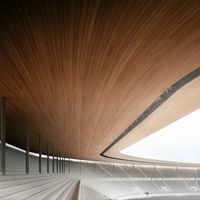 News by Architects Journal. 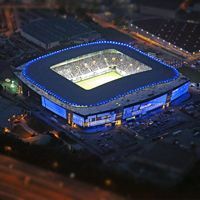 City planners approved it and council members didn’t oppose – planning permission to expand Cardiff City Stadium is in place. 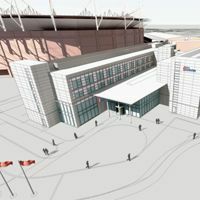 Works are to start immediately, according to Wales Online. 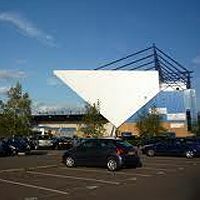 Oxford city council rejected the appeal by Firoka, Kassam Stadium owners. 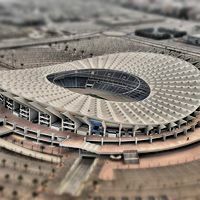 The company demanded for the stadium to be denied its ‘community asset’ status, which gives fans more control over its future. BBC reports. After wildlife took over a year ago with plants, weeds and animals, now it turns out the football pitch has no drainage. If it rains on Sunday, the pitch may get completely unfit to play. Even without rain the national team manager is displeased with state of the field. 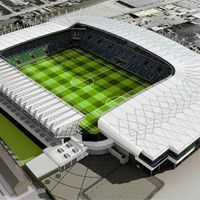 07.10.2013 Belfast: IFA delayed or on schedule with Windsor Park revamp? 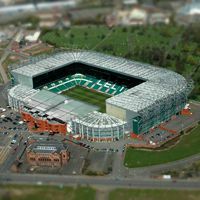 Preferred bidder was to be selected in September, but BBC claims there is trouble reaching an agreement. 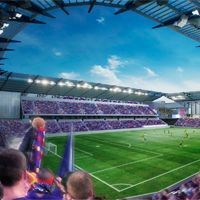 IFA denies any delay claims and assures the project is on schedule. Has the Metropolitan Police gone over the top? 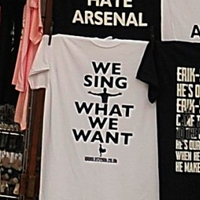 Apparently, as at the same time away following was allowed to sing about Adolf Hitler only because they didn't use his name. We've got two nice additions for you tonight. One is a stadium almost literally lying on the beach (of a really beautiful lake!) and the other houses a... chickencoop. 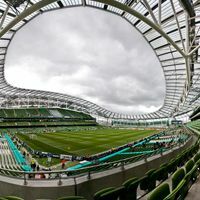 New Stadium Ltd., company managing Ireland's national stadium, revealed a €2.3 million loss for 2012. Statistics are slightly better than for 2011, but a lot of effort still needs to be made, Independent.ie informs. 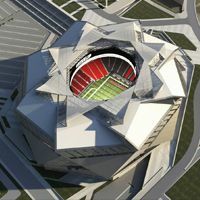 The Atlanta Falcons have officially chosen the south site, at the intersection of Martin Luther King Jr Drive and Northside Drive, as the final site for construction of the new stadium, according to Atlanta INtown.